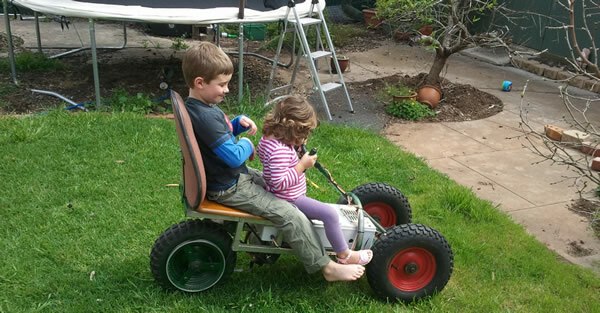 Home › All Projects › Electric Go-Cart built from roadside junk. An old electric go-cart I built about 11 years ago, Charlie (my son) was asking about it, so we got it out of the shed and dusted it off. Still runs just needs batteries.